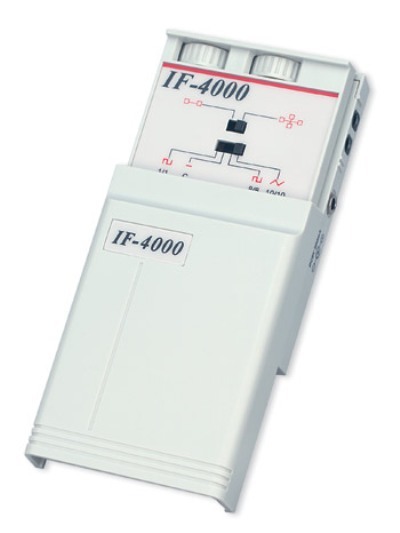 Interferential stimulator with 2 channels offering fixed and sweep frequency modes. Includes: self adhesive electrodes with wires, carrying case, 9-volt battery, 100 volt AC adapter and instruction booklet. Features 4 pulse modes: continuous, abrupt 8/8, abrupt 10/10 and ramped option.